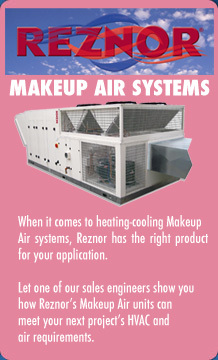 Need a unit heater, a duct furnace or a make-up air heating and/or heating cooling system? We represent the premier manufacturers of these products in the world today. Whether you have a standard application or something quite custom, we have what it takes to fit the bill. Have a hard-to-duct residential or light commercial air conditioning application? We can help you with that too. We represent a high-velocity air distribution system that is unmatched in its design, quality, trouble-free installation and reliable operation. We have a comprehensive range of products to fill your residential, commercial and industrial needs. As with all of the products we represent, Thermco is here to assist you from design to training to start-up. You can count on us.